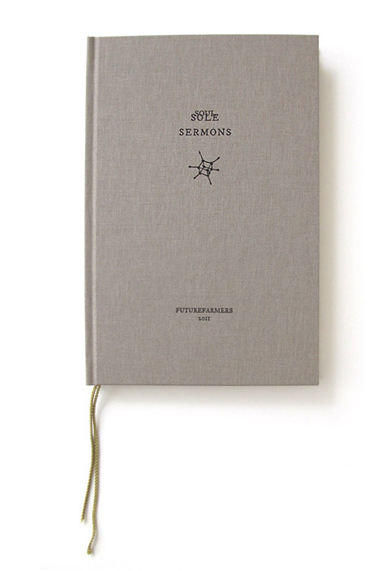  Sou/Sole Sermons was letterpress by Kavamore Press in Oakland, California using Fell Open Source & Free Mono fonts on Somerset Book and printed on a Vandercook Universal 1 Cylinder Press. 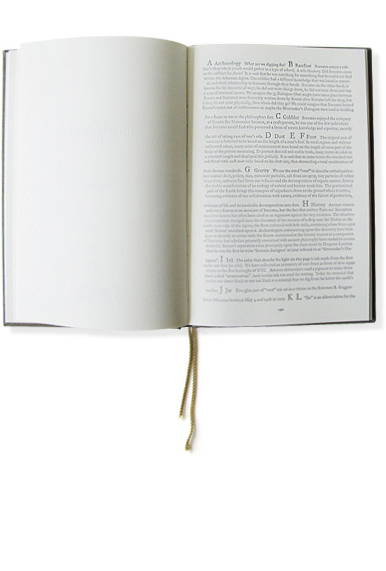 Five custom inks are cast upon the pages of this book. Each ink is made of particulate matter [soot] collected from the streets of the five burroughs in New York City. Sole/Soul Sermons is a limited edition of 50 books published for the occasion of Futurefarmers' exhibition at the Solomon R. Guggenheim Museum in New York City. As part of the Guggenheim's Intervals series, Futurefarmers developed an installation, public programming and commissioned three texts [SOUL/SOLE Sermons] that are printed upon these pages.